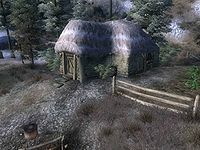 Applewatch is a farmhouse west of Bruma (quest-related). The elderly matron of the Draconis family, Perennia Draconis, and her dog Jake live in the house. This location is part of three Dark Brotherhood quests, but otherwise unremarkable. 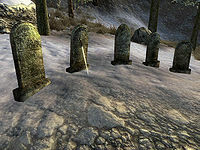 A small graveyard appears in the yard after Next of Kin, with a gravestone for each of the assassinated family members. Activating Perennia's will summon her vengeful spirit. The farm contains five lettuce plants, three radish plants and five potato plants. Applewatch also appeared in ESO. Esta página foi modificada pela última vez à(s) 04h33min de 3 de novembro de 2015.